Year: 1918 Model: 3-35 Body: Cab Sides Limo. 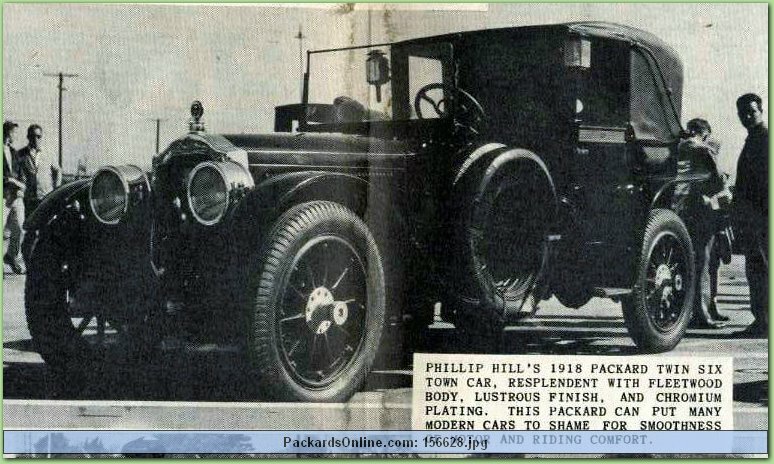 Right after his birth, Phil Hill was brought home from the hospital in this car. It belonged to his mothers sister, Aunt Grasselli.